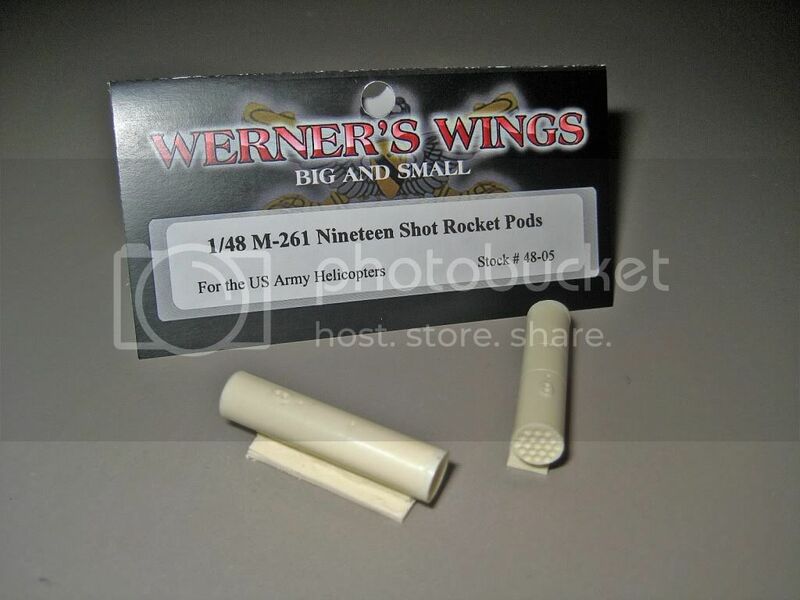 Here is the latest release from Werner's Wings- 1/48th scale M-261 Pods for the Monogram AH-1F and the Hasegawa AH-64A + D. This pod can also be used on a UH-60DAP. Mastered by Joseph Osborn of Fireball Modelworks for me you get all the detail he is known for. 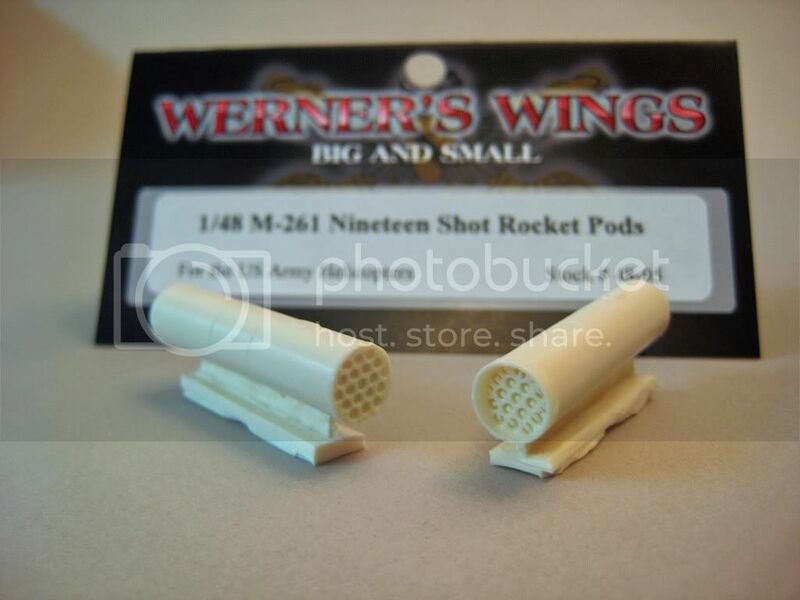 This pod is superior to the Hasegawa pods in the Apache kit and will add to the meanness of the Monogram Cobra with its undersized rocket pods. You only have to clean up the pour stub and not fill any seams. I hate filling seams. The face plate has the holes for the umbilicle chords for the DPSM rockets. The back has the igniter arms in the proper position. There is also an indentation for where to mount them. All very simple, easy and effective. You can get yours by visiting www.wernerswings.com. The are available immediately, but they will also be at the IPMS/USA Nationals in Columbus, OH along with all the other Werner's Wings stuff, including the new AH-1F decals. Just as an update on the decals. I have the decals already. They are beautiful. The instructions are being drawn up now. The DVD should be in my hands by early next week. I will definitely have them by the Nats and hopefully a little before. I hesitate to take pre-orders for them at this time because I haven't seen the finished instructions nor the DVD cover, but if you want them I will accept pre-orders. Remember they are not ready yet, but as soon as they are I will ship them. Check the website for pricing as I offer a couple of options. Holy bat crap, that is sweet. My wallet curses you Floyd.